How is it possible that we’ve been back in Grenada for over 2 months? It feels like just yesterday that we were surrounded by family on the beach in Manzanillo, Mexico. Time is flying by, but thankfully we feel as though we’re accomplishing everything we wanted to (and more) while living in Grenada. We’ve rented apartments all around the world and really enjoy staying put for a bit and getting to know the destinations we visit. Somehow, without us even really trying, Grenada has sort of become our base. 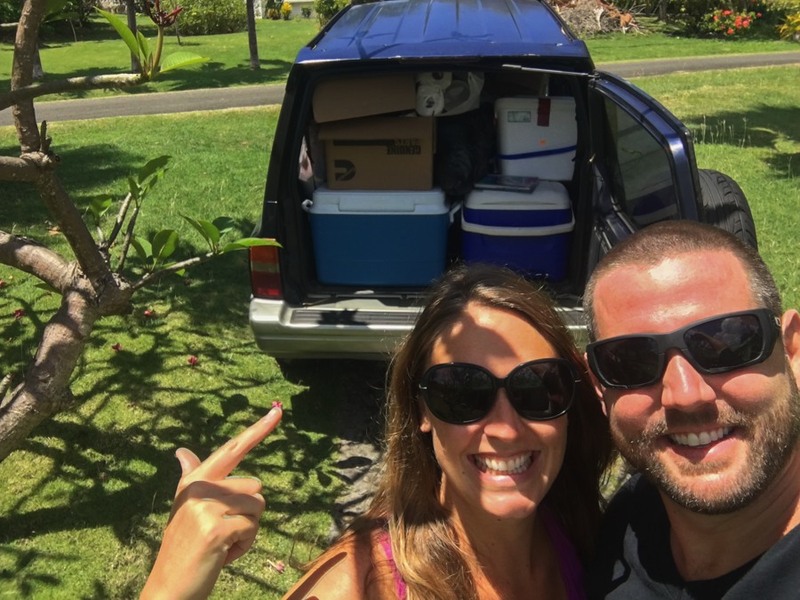 We’ve Rented a Home & Are Living in Grenada! …well, for a while anyways. 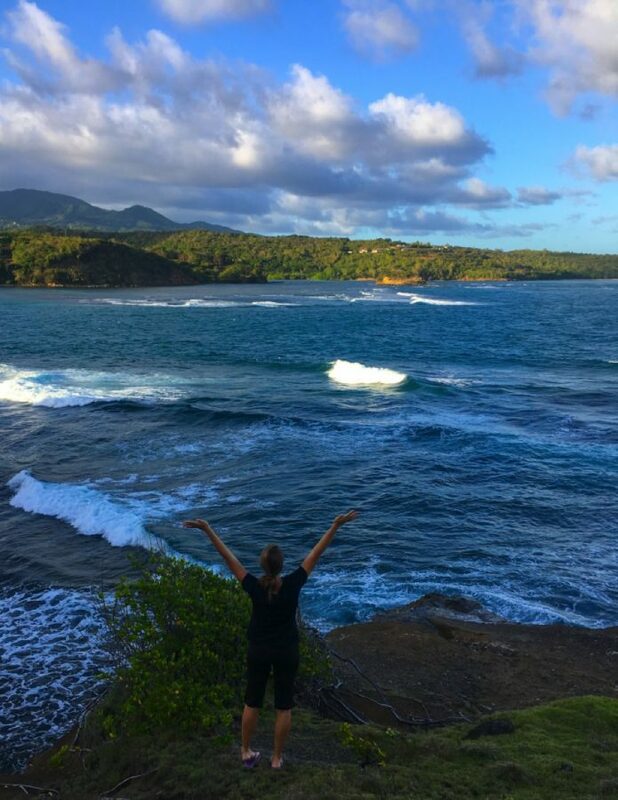 We’ve had a soft spot for Grenada since 2014 when we first stepped foot on this volcanic, jungle-clad island, and except for 2017, we returned each year to house and pet sit for around 6 months at a time. The island isn’t for everyone I suppose, but we love the authentic Caribbean vibe, the genuine and welcoming people and of course, the stunning beaches and lush jungle interior. This February we received a free months stay in a beautiful luxury cottage overlooking the sea (thanks to our generous friends), and free rent in March thanks to another house and pet sitting job we were offered by some other friends – it’s all about who you know! As much as we enjoy house sitting and taking care of adorable dogs, we’ve realized that we want our own private space. Not a place where other people live, complete with their tastes in decor, their photos on the wall and their personal belongings. 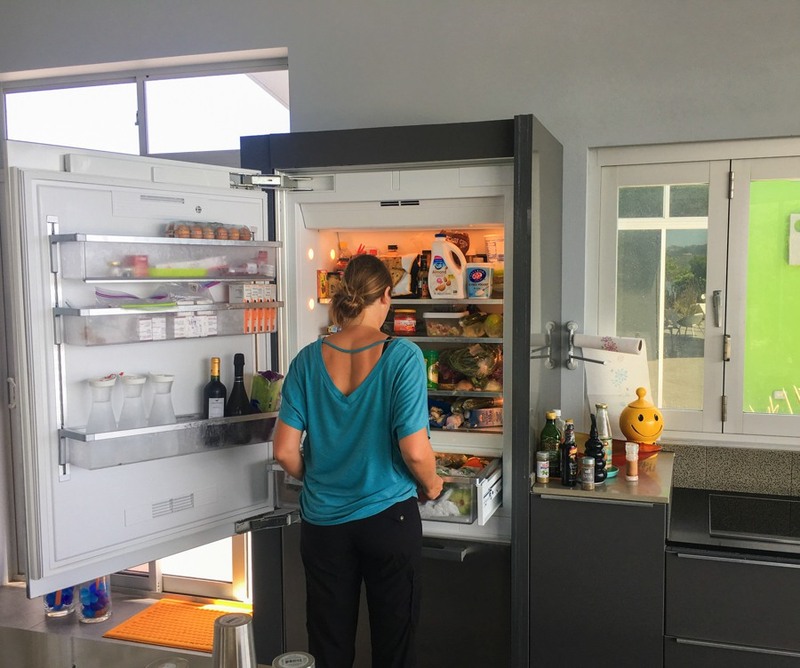 Even when we rent through Airbnb, quite often the apartments are filled with the owner’s personal items like family photos and clothes in the closet, or the opposite – they’re sparsely furnished. Plus, there’s a hefty Airbnb service fee tacked on when booking through that platform and you have to watch out for Airbnb scams. We’re ready to rent a place of our own. Somewhere we can decorate how we like, and where we don’t have to worry about keeping everything exactly the way it was left to us. On top of that, we’re ready to try living in Grenada without having dogs to take care of. In the past, we’ve needed to be home for the pets to feed and walk them at a certain time (of course), which quite often led to us not being able to be spontaneous. If we were having a good time with friends, felt like going to a bar, or decided that we wanted to watch sunset from the west coast, we couldn’t due to our animal commitments. So, we’re very excited to say that we have found a beautiful home to rent, and couldn’t be happier! Not only does the home fit our tastes perfectly, but the owners are friends of friends and we have an agreement in place that works well for us all. We are paying rent on a month-to-month basis, and if we feel like taking off to Italy for a month, we just tell the owners, pack up our things, and leave. When we want to return, we give them a call and say when we will be back. 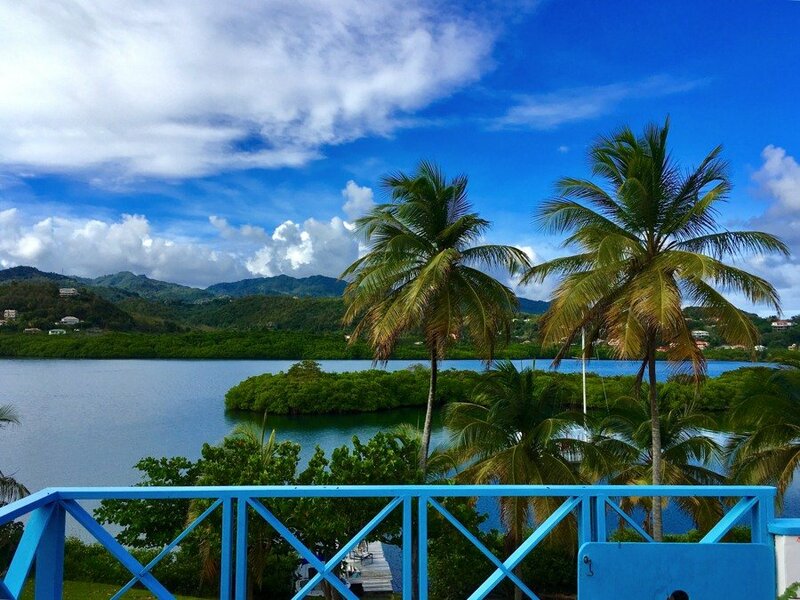 We’re located right on the ocean and are surrounded by lush greenery. The home has a pool, a large yard with fruit trees, a private jetty, an outdoor bar area and comfortable furniture for relaxing while sipping on wine. The outdoor area is inviting and a great place to spend the afternoons and evenings. The white wooden beams on the inside ceiling and baby blue cupboards in the kitchen give the home a Caribbean / beach house vibe. 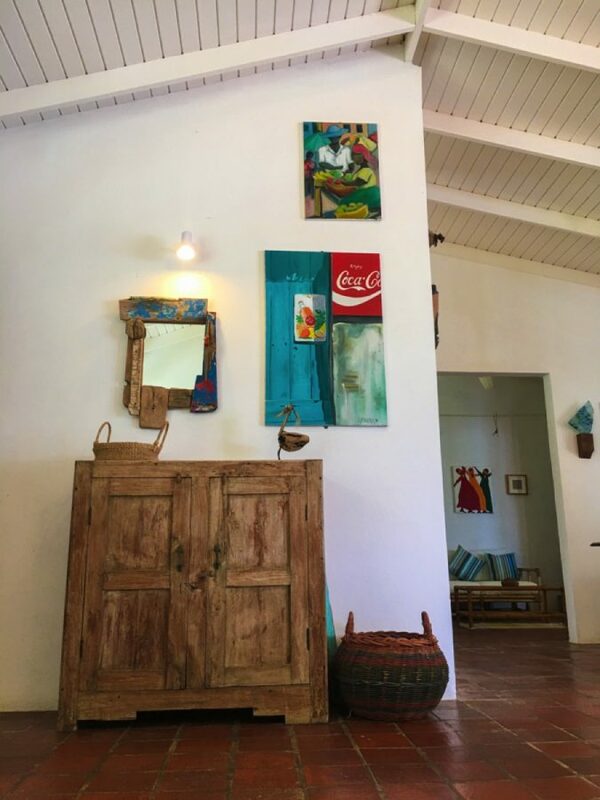 All of the colourful, hand painted art on the walls are from Grenada (or nearby), and there’s even a wooden driftwood bird made by our friend Julia at Spare Art Studio. The wicker and bamboo furniture fits perfectly here, while the dated tiled floors give it a rustic charm. This is the front entrance. We love the ceiling and the wooden furniture, and the colourful artwork. See the driftwood bird?! We’ve even gone so far as to add more blue splashes around the house – couch pillows, outdoor chairs, plates & bowls, a full length mirror and wine glasses. This situation couldn’t be more perfect for us, and we are truly grateful for our friends who introduced us to the owners of this home, who in turn gave us an incredible deal. Ever since we arrived in Grenada, everything has been falling into place, which has really solidified the fact that this is where we’re meant to be for the time being. If there’s one thing that you need in Grenada, it’s a vehicle. The island may be small (it’s 19 kilometers long by 34 kilometers wide), but as this is a mountainous country, the roads are very windy, meaning it takes a long time to get from the south to the north. 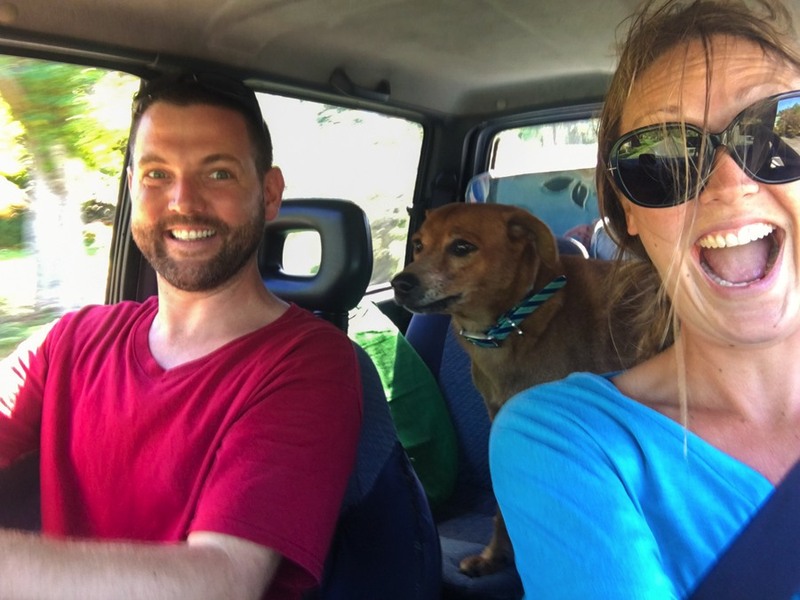 We’ve always had a vehicle during our pet-sitting jobs here on the island, which has been a great way for us to get out and explore the numerous bays, waterfalls, jungle, etc. In my opinion, a vehicle is a must, but rentals aren’t exactly cheap. The lowest price we’ve found from a proper rental company on the island is about $55 USD / day. Since we’ve been on the island numerous times in the past, we are a part of some Facebook buy and sell groups and know how to work around this high cost. 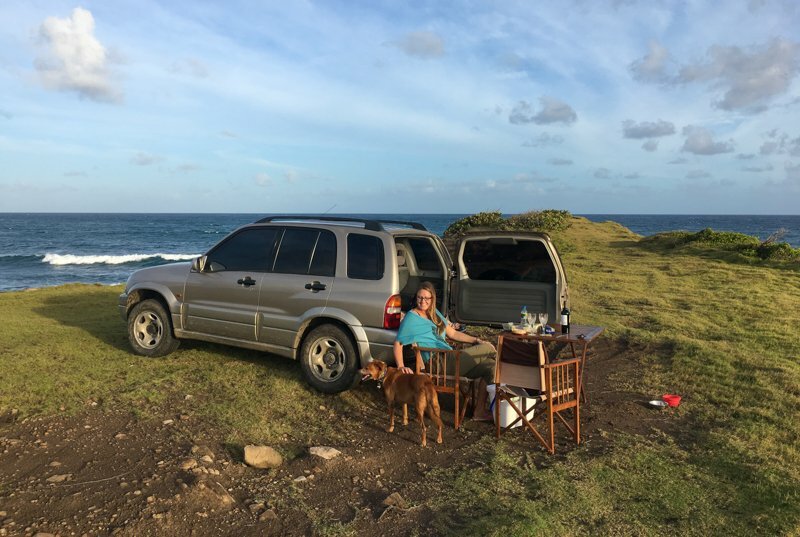 For our first month here, we rented a small SUV from a Grenadian woman for $20 USD / day, which everyone said was an unbelievable deal. We’ve considered purchasing a vehicle here, but the cost of buying is quite high, and the price of maintaining it on the island is even higher. Parts sometimes need to be imported, salt from the sea causes rust, the roads are poor so sometimes suspensions and bearings go…and many more issues will easily arise. Plus, we would need to buy insurance on top of the purchase price. Renting seems like the best bet, even if we might save some money if we purchased instead. As long as there’s enough room in the vehicle to pick up friends and “our” dog, we’re happy. We also know that we’ll be travelling a lot from Grenada, so it’s best that we can return our car and not pay for it while we’re away for extended periods of time. One of our main concerns lately had been the fact that we weren’t eating well, were having some physical issues (my back, for example) and we were gaining weight. Travelling the world is a wonderful thing, but oftentimes we found ourselves overindulging in food and drink, and not doing enough consistent exercise. 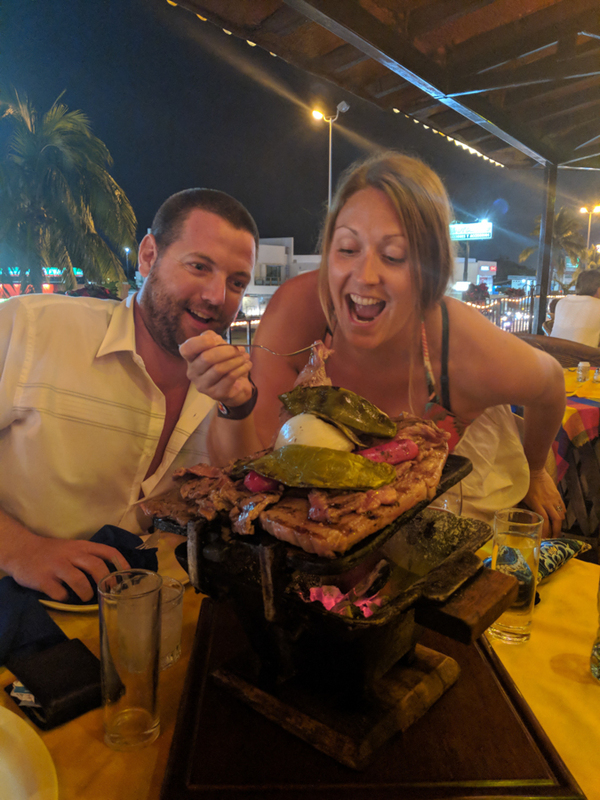 At the end of our Manzanillo travels, Nick stepped on the scale (I couldn’t bear to)…and cringed at what the numbers read. For the past year, Nick has been about 20 pounds heavier than he would like to be, and same for me. After the scaled confirmed that yes, he wasn’t at his ideal weight (meaning neither was I), we decided to do something about it. We aren’t ones to be overly concerned with superficial things like waistlines and weight… this was stricly for our health. 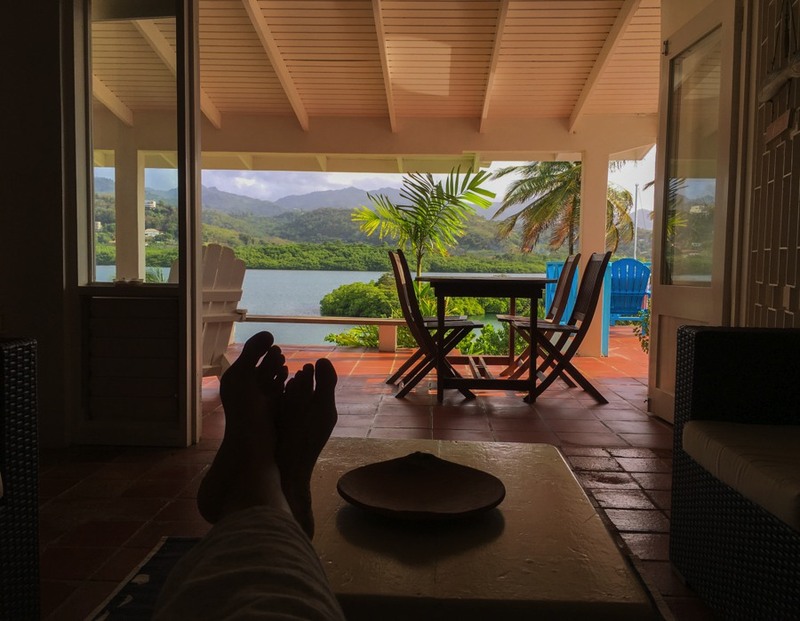 As soon as we arrived in Grenada, we started with our health plan. At first, we went on a 2 week detox where we didn’t have a single drop of alcohol. During that time, we ate wholesome meals and went on lots of hikes. We felt good, but it still wasn’t enough. The kitchen at the house we were pet-sitting at last month was a dream. It had every utensil and appliance you could imagine, and we took full advantage of that. We stocked up the massive fridge and freezer with healthy foods and ingredients for a smoothie diet. Morning – a smoothie with unsweetened almond milk, spinach, banana, oats and a few strawberries. Coffee. Lots of water. 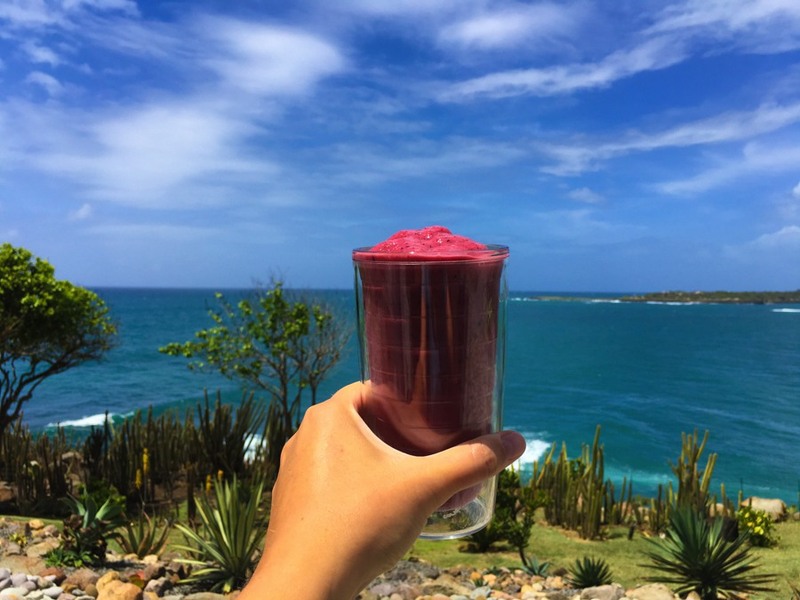 Afternoon – a smoothie with unsweetened almond milk, non-fat yogurt, spinach, fruit (apple, papaya or berries). Lots of water. Afternoon Snack – raw veggies with dip of either non-fat Greek yogurt with herbs, or dijon mustard. Or, 2 hard-boiled eggs. Dinner – chicken breast with vegetables (green beans, salad, squash, pumpkin or zucchini). Lots of water. No white rice, potatos, bread, pasta, refined sugars or empty carbs. Living the smoothie, chicken, vegetable diet and feeling great! Our portion sizes (including the amount of alcoholic beverages we drink) have drastically changed, and it did take our bodies a while to get used to consuming less calories as we were taking in way too many before. By eating this way, we’ve automatically eliminated processed and refined foods, and all unnatural sugars. We were very strict on the above diet for about a month, but now we have become a little bit more lenient in that we will go out for dinner with friends and eat what is available on the menu. We didn’t want to turn into “that couple” that no one wants to invite out! We both realize that it’s not all about the numbers, but we weren’t comfortable or happy with how we were eating and drinking. We still have a few more pounds to shed, but are feeling really good now and plan to keep it up. Not only did we need to stay still in order to rest and rejuvenate, but we were in desperate need of getting some work done on our website. There were a few large projects that we wanted to get off the ground (that we talked about way back in Koh Samui), but we just didn’t seem to have the time while scuba diving in Indonesia, devouring ramen in Japan and drinking margaritas on the beach in Mexico. 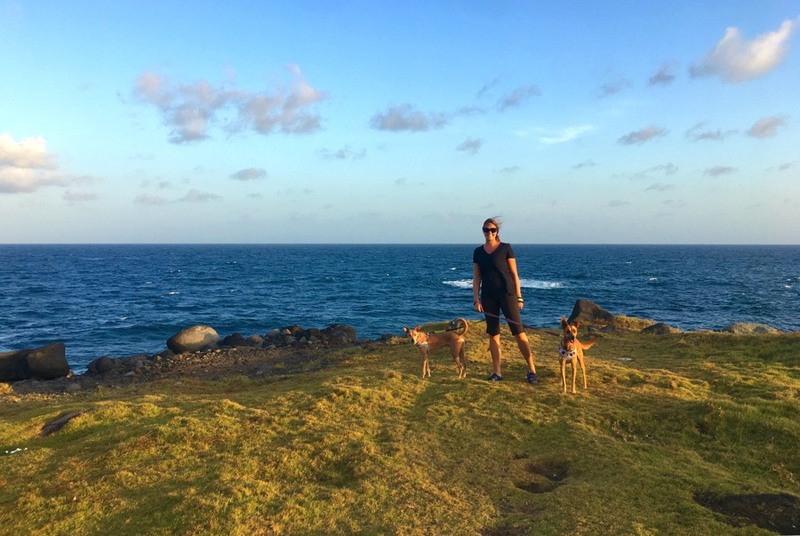 Our first month in Grenada was all about playing catch-up. Replying to those emails that were sitting in our inbox for 3 weeks (or longer), writing articles about our recent travels and lifestyle, creating new income sources and dealing with lots of backend website stuff such as SEO, design and hosting issues. 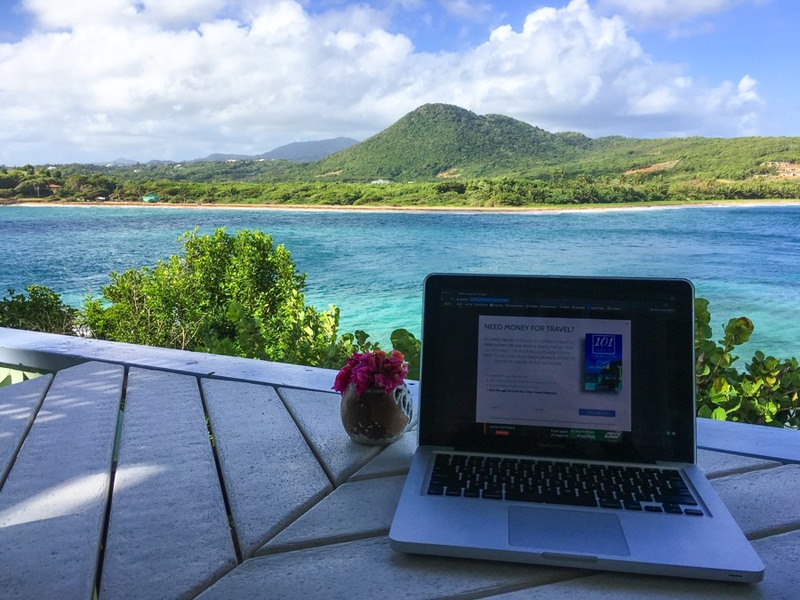 It feels so good to be getting caught up on work – although hard to work with such amazing views! The second month here is where we really got down to business and started thinking about the projects we had on the backburner. I wrote some important articles that we needed done, dealt with lots of behind the scenes things, kept up with our social media accounts and worked on some freelance articles for our clients. During that time, Nick was hidden away in a “studio” where he was working on putting together a free blogging course. 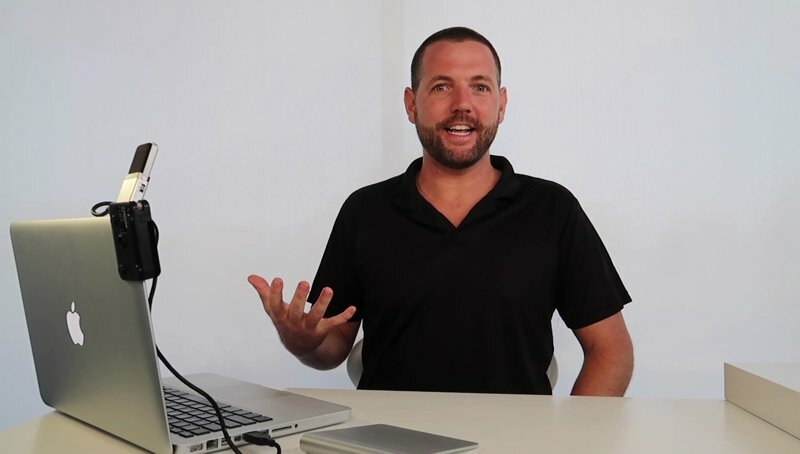 This is one of the main things that we wanted to complete, and in about a month, he had filmed, edited and created a 4-part blogging training course complete with audio, video and media. He had spent a lot of time before that brainstorming and mapping out the curriculum, but amazingly he put it together in about 30 days. Click here to learn more about the course Nick created, and to see a glimpse of all of the hard work he put into it. And also have a look at his latest post: We Created a Free Course For New Bloggers! 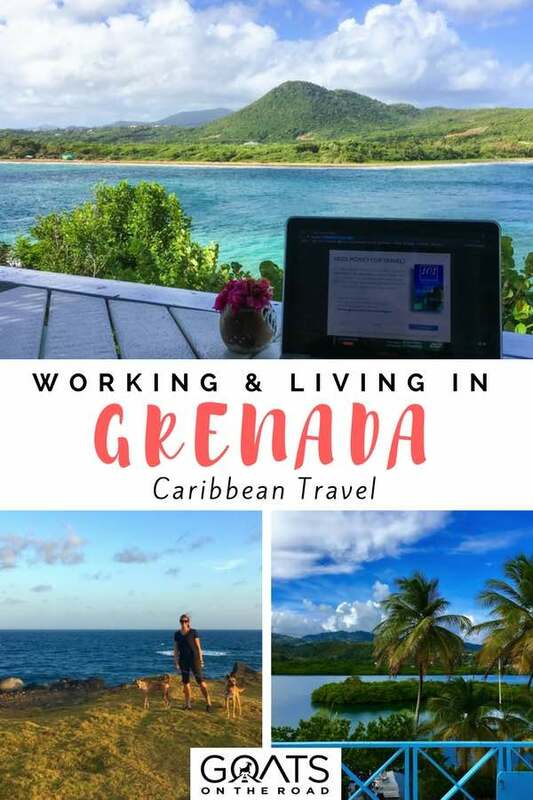 Workwise, this third month in Grenada is all about creating some new partnerships with brands and companies, speeding up the load time of the website, creating more resources for people who want to earn money and travel full time, and working on a new advanced course for intermediate bloggers. We’ve been loving Grenada so much that we can’t see ourselves leaving anytime soon. There are so many things to do in Grenada that we’re never bored. In just this past week, we’ve eaten at new restaurants, found new trails for hiking, hungout with friends, gone to the beach, watched sunset, attended the 3 day music festival and celebrated a friend’s birthday! Other days we’ve gone to nearby islands, listened to live music at bars, volunteered at the GSPCA, and so much more. We’re having such a good time on this Caribbean island, and are still discovering new places. As much as we love Grenada, one thing is for sure, we will still be travelling! In May we plan to take a trip for our anniversary and in August we will be off island for about a month in Canada and potentially somewhere else. Everything is up in the air for now, and we will be announcing travel plans as they are solidified. Living abroad is an excellent way to really learn about a destination. Rather than just bouncing around a day or two here and there, we really like to take our time. 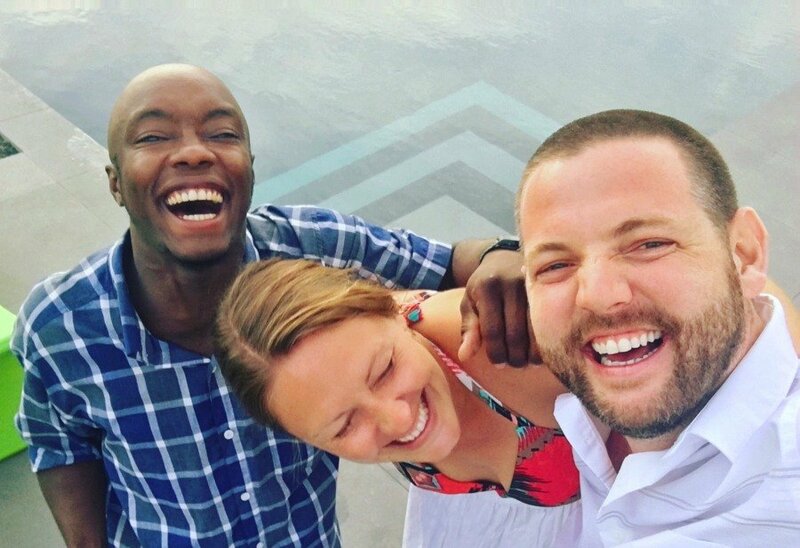 Meet the people, take the random path on the side of the road, go to the local events, live like a local and learn about the culture…that’s what living and travelling overseas is all about. Amazing post.Love reading your blog.Pictures are also good.I would love to visit here with my love (Maria).Thanks for sharing this post with us.Keep sharing. Thank you for reading and commenting Diego Grenada is definitely a great place to visit for couples. lol, it’s pretty ugly 😉 We’ve been spoiled for views in Grenada and are so grateful for this new place we’re in. We truly are very happy here. Thanks so much for reading and commenting Adam! Wow! 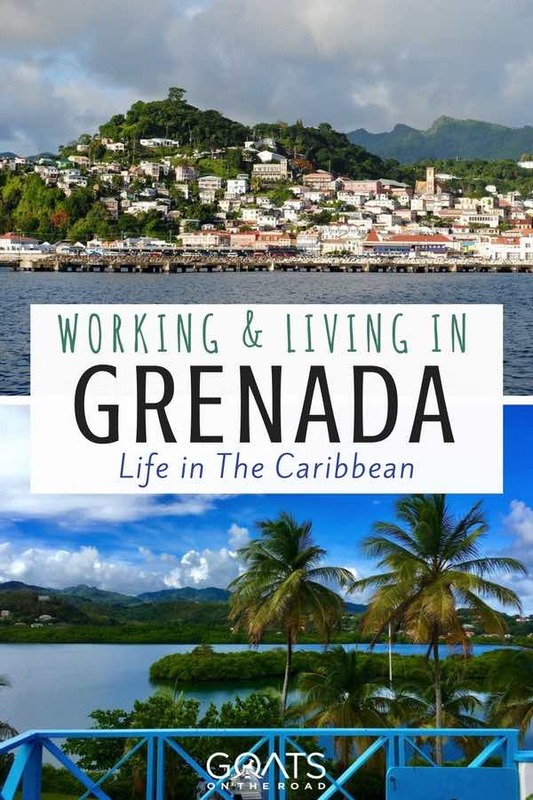 Loved your article on living in Grenada! I lived there for about 2 years while in med school but lived off campus and had many adventures and local friends! I’ve been back several times and yes, am planning to perhaps live there again sometime! Wonderful old time Caribbean with great down to earth people! Hello, I am planning for coming over Grenada for a bachelor degree. Can I have your contact to know a bit more about the situation of now and some tips from you? If you have Enough time. Please. Thank you for reading and commenting on my article There are numerous family travel bloggers out there! Just Google “best family travel blogs” or something similar. But I do know that YTravelBlog are awesome! (www.ytravelblog.com). Check them out. To give us and idea of what things cost I think it would help to give us what a few thinks cost like rent ect. We plan to live in Mexico for a month but have traveled lots of places . Thanks for your comment. 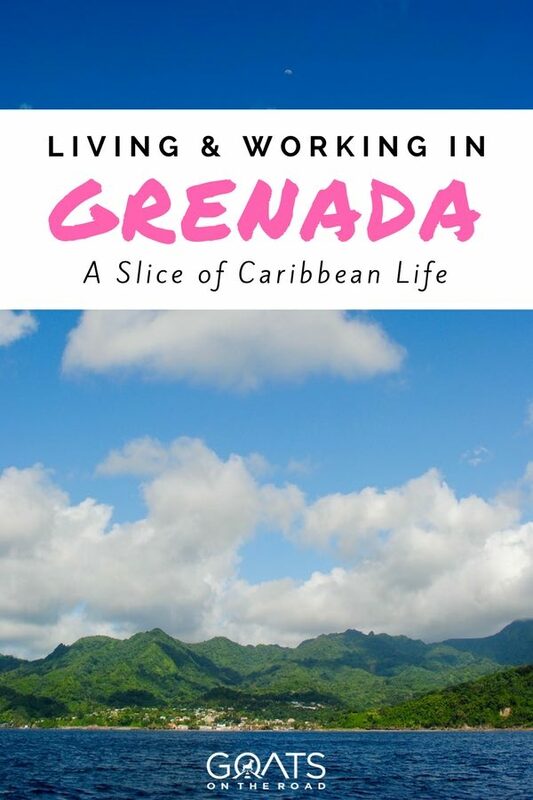 I had written an article about the cost of living in Grenada, but for whatever reason, I didn’t add it to the post! Sorry about that and thanks for the reminder. I also added a box to the end of the article which breaks down our current costs. Aww, that’s awesome. I could tell your hearts were always with Grenada by how you wrote about your pet-sitting days there through the years. I’m happy for you both! Enjoy the island life! Looks a great place and yes I love that art work too, seems very much local and in keeping with the place. It’s always good to look after yourselves, exercise and good diet are key. We moved to Hong Kong and do move around a lot and go hiking too, also of course we eat sensibly, have to eat as if you live here and not as a tourist which might involve eating out and drinking most nights. We tend to restrict our drinking to weekends only as then it still feels like a ‘working week’ and the weekend still special. That’s a good way of putting it Ben! So true, that it can sometimes be hard to eat and live like a resident rather than as a tourist. Especially in a country that has amazing food… 😉 Good idea as well about only drinking on the weekends. It definitely feels good to cut back on the booze. Hi Dariece, Great article! It’s interesting to see how you guys are ‘settling’ in one place (even if it just may be for a short time). I definitely cope better when I’ve got my own space! I do have a question about the driving – in particular your driver’s licenses. Did you guys keep yours from Canada? And if so, how do you renew these year on year? I do not regularly go back to Canada and gave mine up years ago. Just curious how others do this? Thanks! Thanks for reading the article and for commenting. We’ve gone back to Canada to renew them, but we might not do that the next time around. Here in Grenada, we purchase a local driver’s licence for $37 for 3 months. Really enjoyed this article and can resonate with the staying in one place and keeping the diet in check. Grenada looks amazing and would love to visit and house sit here. It’s always inspirational to read what you guys are doing. Thanks for the comment Every 3 months we must renew our visa, which is a fairly easy process. After a year here, we need to leave the island (but can return). I would love to live in Grenada, even just half a year (something like pass the summertime here, in Italy where we’re born and the wintertime in Grenada). I’ve fallen in love with this Island when searching for a dream-like Caribbean Island to live on in a almost-utopian future (and this is the reason why I’ve found your blog!). I don’t know if I will ever have the chance to live there for some month per year, it seems all too difficult and expansive (unfortunately I’ve been unemployed for years, Italy has some “little” problems about jobs and occupation..) and now I’m trying to sell some sculpture I make (something I think will be difficult there, since most of the materials should be imported, I suppose). But everytime I pass some time on your blog, the idea to start a blog of my own rises again in my mind. A blog about themes a little bit too “niche literature” and I don’t even know if in Italian or English since my English is very rusty. Happy travels and (maybe?) Happy Blogging! I love your blog. My only wish in life is to one day come back home and live but with a wife and three kids it is some what impossible. maybe some day. Enjoy my Island. Thank you so much for reading and commenting. I hope you return to visit, or live, in Grenada again soon! Great place, I would like to choose one day, I hope that I will have the opportunity.